← THE NUMBER ONE, SECRETLY ENCODED, AND GUARANTEED RETURN INVESTMENT TIP FOR 2014! How does a top 10 all-time ad slogan from 1929 fit with Marshall Goldsmith’s What Got You Here Won’t Get You There? Both suggest the key to continuing on for people on the go (or grow) is to slow down and pause. 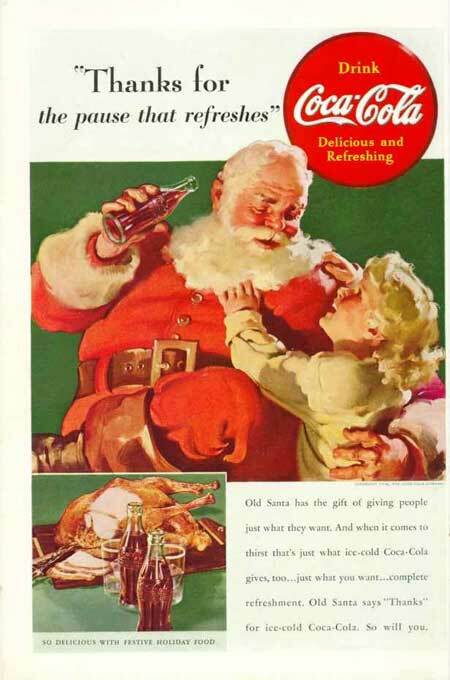 Coke wants us to pause and drink; Goldsmith suggests we pause and think! You will have to read the book for the others, and I promise you will thank me. What struck me is how many times we sabotage ourselves with our own statements. Like a mule heading for the barn, we mindlessly head to our house of regret and open the door with our tongue. The quick wit and sharp analytical skills that got you noticed and promoted can sabotage your leadership potential. They surface in sarcastic replies to a subordinate or colleague in a meeting, or in pointing out the problem with a solution developed by a new member of your team. Neither build emotional connections with others, a critical skill for successfully managing people. Goldsmith’s observations, developed over 20 years of coaching, sure hit home with me. Every time you respond with a sarcastic remark or respond with a “no,” “but,” or “however”, put $10 in a jar. Most of us would fill the jar and empty our accounts before we got control of our tongues. Once you have control, you can then move to step two, changing your response. Is my response in the best interest of the customer? Is my response helpful to my company? Is my response helpful to the person I am talking to? Is my response helpful to the person I am talking about? I tried these at my family Christmas gathering and found they helped for the first two people I engaged in conversation. Within an hour I found myself speaking sarcastically to my nephew when he shanked a drive in a friendly game against his step brother. The good news is I caught it. And even if I am a not yet a full time encourager, I know I can stop being a sarcastic cheerleader. The pause that refreshes ad poster will be stuck on my mirror in 2014. And if I can pause my tongue a few more times, 2014 will be a refreshing year of progress. This entry was posted in Change management, Continuous Improvement, family, Learning, People and Productivity, Workforce Development and tagged career coaching, Executive coaching, Goldsmith, Habits, Marshall Goldsmith. Bookmark the permalink.